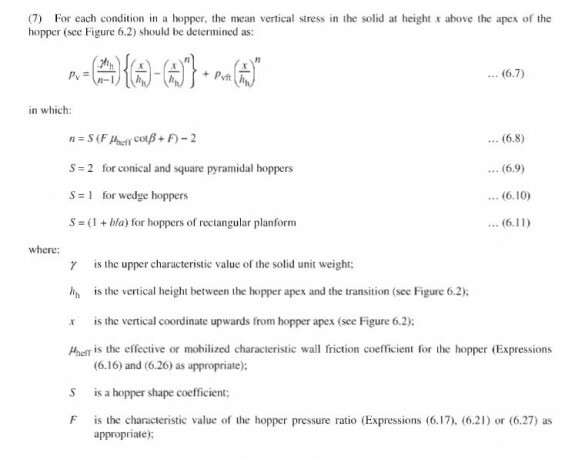 can anyone suggest any reference book which gives solved example of structural steel hopper design based on En 1991-4-2006. 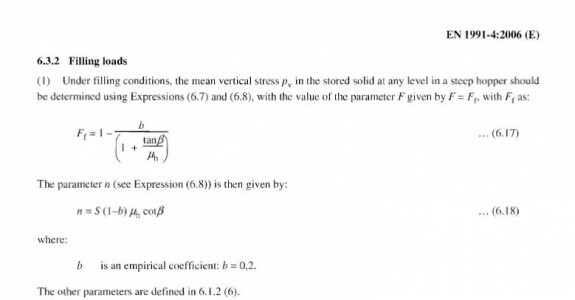 I am designing a hopper for boiler building based on the eurocode , however finding it difficult to understand certain formulas given in section-6 of the code. however the term in denominator for calculating Pv is n-1 and hence the pressure value becomes negative. which i think is no possible.